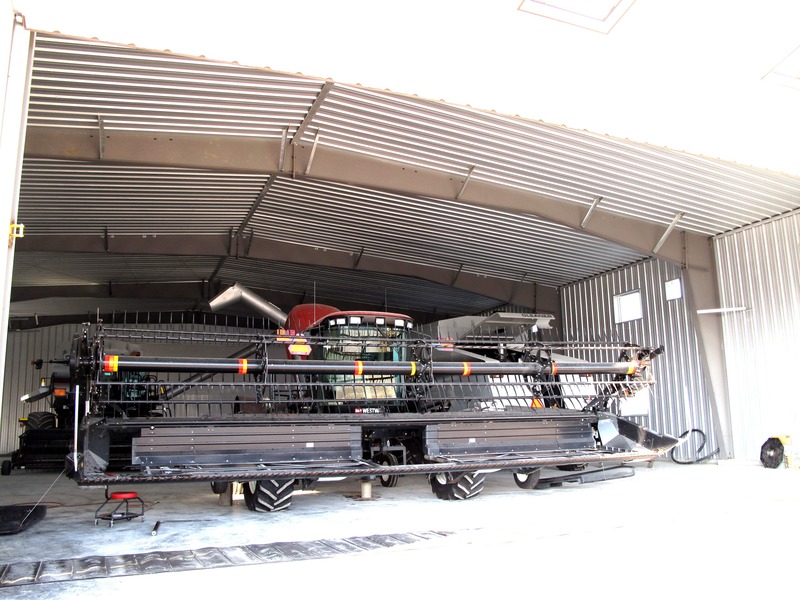 A large grain farm like Manaigre Farms Ltd. needs spacious storage for its farming equipment. 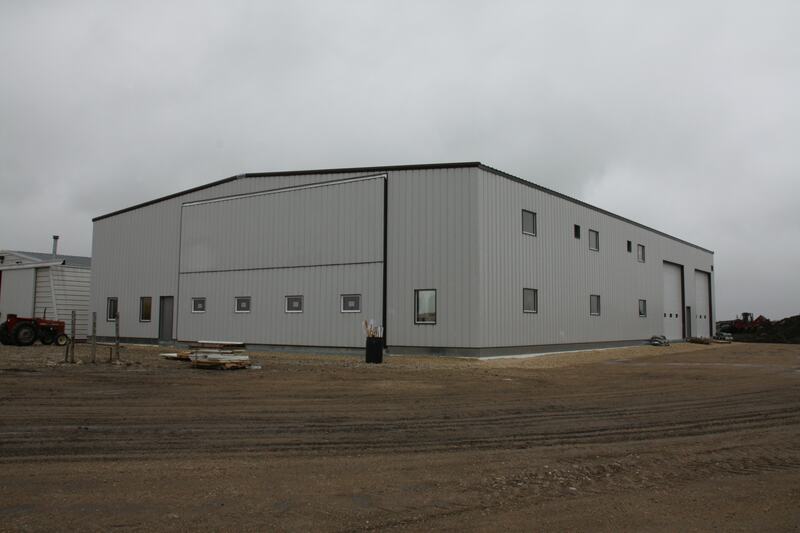 That is were this brand new 9,600 sq.ft. 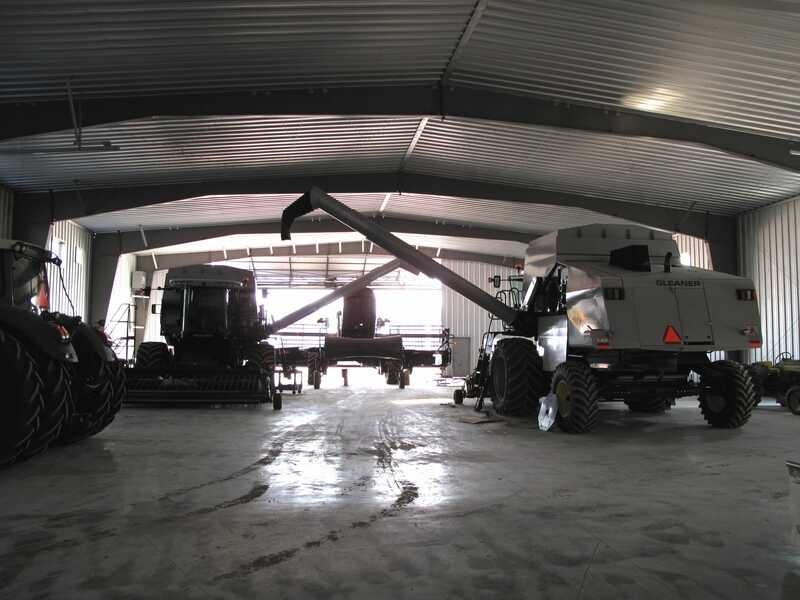 agricultural equipment storage facility comes into play. 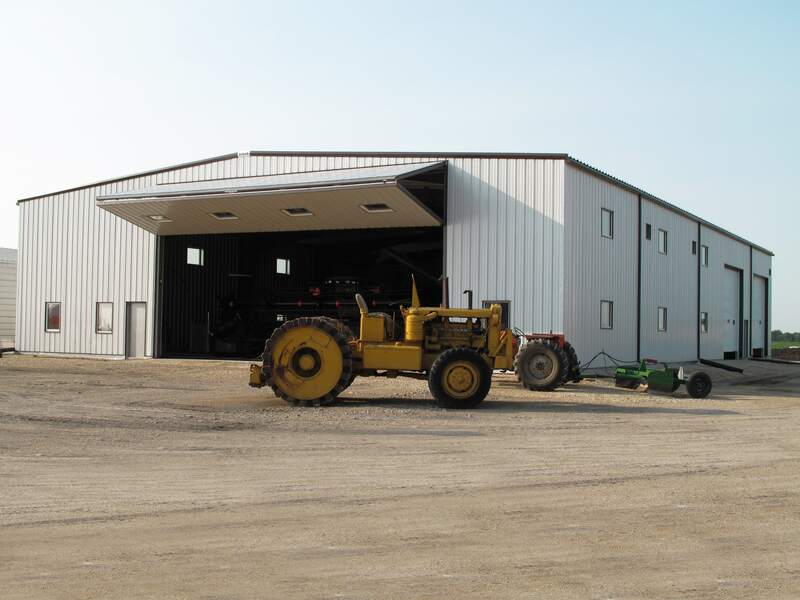 With a front 80’x20’ bi-fold door giving a clear opening height of 18’, four 16’x16’ overhead doors, and one 10’x10’ overhead door, there are more than enough convenient spaces to park and work on the various machinery. 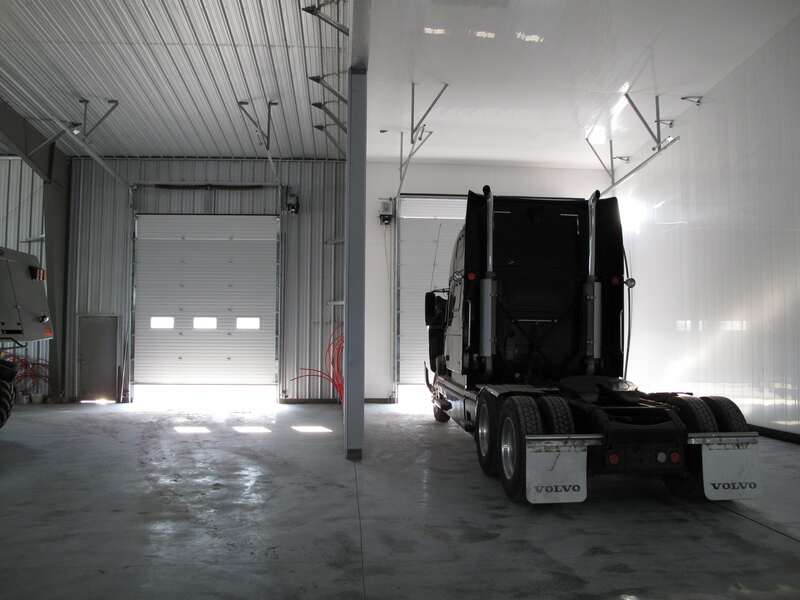 A large truck bay, completely lined with white interior liner and Trusscore plastic panels within the wash bay, is also incorporated into the structure.